Is there life before coffee???. All of Mosaic's Papers are in Adobe PDF Format. The published papers on this web site have been organised into five sections to facilitate ease of use. Where a paper ‘fits’ into more than one section, a reference has been included in both. Alternatively, if you know the paper you are looking for, you can jump straight to the Alphabetical Index of papers. Mosaic's comprehensive Project Management Knowledge Index provides links to all of our resources sorted by PM catagory. This section incorporates papers on all aspects of stakeholder management (both internal and external), including the Stakeholder Circle™ and the management of projects in outsourced and matrix organisations. The Corporate and Project Governance section includes papers dealing with the overall governance and management of projects within an organisation and the organisation's obligations to shareholders, owners and society (including legal obligations). Papers dealing with the law, contract claims and dispute management are a sub-section. The OPM3 section focuses on papers discussing the development and use of PMI's OPM3 methodology, including its implementation and best practices, plus other overall philosophies and methodologies. Project Office (PO) or Project / Program Management Office (PMO) includes papers covering all aspects of developing and implementing a Portfolio, Program or Project Office, primarily from the people perspective. This section also includes papers on Program and Portfolio Management (excluding OPM3) . The key facets of a PMO's role are: Methodology (simple and scalable), Mentoring (including training) and Measurement (QA and reports); plus providing a 'home community' for the organisations project managers. The effective use of project management software, tools and techniques. Effective corporate governance and stakeholder management are becoming increasingly recognised as the central element in effective project, program and portfolio management. The vital role stakeholders play in defining the success of projects is also becoming increasingly recognised and importantly, can be facilitated by the same systems needed for effective corporate governance. Meeting the requirements for effective corporate governance, as defined in the new legislation (CLERP9, SOX, Listing rules, etc) may be achieved in isolation but is made easier by having effective corporate project management systems in place. OPM3 describes these ‘best practices’. Enterprise Project Management (EPM) delivers the technical capability to build integrated project management systems. The staff to operate and ‘own’ the EPM system (software and technology) are found in a PO (project office) or PMO of some form. Establishing or implementing any of these components will deliver significant benefits, when implemented as a holistic system the sum of the benefits can be significantly greater then the individual parts. A Typology of Operational Approaches for Stakeholder Analysis and Engagement - Authors: Rebecca Yang, Geoffrey Shen, Lynda Bourne, Ho, C.M.F., Xue, X. Beyond Reporting - The Communication Strategy - Author: Lynda Bourne. Communication ≠ Engagement - Authors: Lynda Bourne & Patrick Weaver. Construction Stakeholder Management (Book) - Authors: Editor: Chinyio E. - Lynda Bourne & Patrick Weaver (Ch.7). This book breaks new ground by focusing on the stakeholder's involvement in creating successful construction projects by capturing leading edge practice in construction stakeholder management to provide construction practitioners with a reliable guide to best practice - Publication due 2009.. Designing a PMO to Succeed and Survive - Author: Lynda Bourne. Developing Stakeholder Management Maturity in a traditional business: an International Case Study - Authors: Lynda Bourne and Klaus Rud Sejling. (The) Forgotten Stakeholders - Forming Teams in an Outsourced Environment - Author: Lynda Bourne. From Commander to Sponsor: Managing Upwards in the Project Environment - Author: Lynda Bourne. (The) future of the PM Hero - Author: Lynda Bourne. Getting the 'soft stuff' right - Effective communication is the key to successful project outcomes! - Author: Patrick Weaver. Implementing effective stakeholder engagement - Author: Lynda Bourne. Influence, Stakeholder Mapping and Visualisation - Authors: Derek Walker, Arthur Shelley and Lynda Bourne. Introducing a Stakeholder Management Methodology into the EU - Authors: Lynda Bourne and Stephan Kasperczyk. (The) Knowledge Management / Relationship Cycle - Author: Lynda Bourne. Optimising the Value of Portfolios through Governance - Author: Patrick Weaver. (The) Paradox of Project Control in a Matrix Organisation - Authors: Lynda Bourne and Derek H.T. Walker. Procurement Systems a Project Management Perspective (Book) - Authors: Derek H.T. Walker et al and Lynda Bourne (Ch.3). This book is primarily focussed upon how project leaders can make and influence procurement decisions so as to realise a project that truly delivers value to project stakeholders for project and organisational success. Particular attention is paid to the nature of ‘value’ in this process. 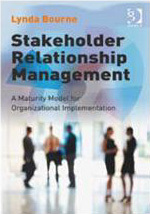 Project Relationship Management and the Stakeholder Circle - Author: Lynda Bourne. (The) Project Start-Up Conundrum - Author: Lynda Bourne and Patrick Weaver. Risk Management and Complexity Theory - The Human Dimension of Risk - Author: Patrick Weaver. Seeing who's there - A Brief History of Stakeholder Mapping & Visualisation - Author: Patrick Weaver. (The) Stakeholder Chameleon – Ignore at your Peril! - Authors: Lynda Bourne and Derek H.T. Walker. Tapping the Powerlines - Author: Lynda Bourne. Targeted communication - the key to effective stakeholder engagement - Author: Lynda Bourne. Trust: a tale of two constructions - Author: Lynda Bourne. What Does A Project Manager Need to Deliver Successful Projects? - Author: Lynda Bourne. Who Really Benefits? Value is in the eye of the stakeholder! - Author: Patrick Weaver. Why is stakeholder management so difficult? - Author: Lynda Bourne. Concepts for a Stakeholder Circle Management Tool - Author: Lynda Bourne. #1 Effective Project Governance – A Cultural Sea Change - Author: Patrick Weaver. #2 Effective Project Governance – The Tools for Success - Author: Patrick Weaver. #3 Effective Project Governance – Linking PMI’s Standards to Project Governance - Author: Patrick Weaver. Construction - A Risky Business - Authors: Patrick Weaver & Richard Hyde. Directing Change - A guide to governance of project management - Publisher: [© Association for Project Management (UK)]. Earned Value Business Management - Author: Patrick Weaver. Governing Agile – the changing role of project controls in an ‘agile’ environment - Author: Patrick Weaver. Governing to Create Value: An organizational perspective on effective project management - Author: Patrick Weaver. Improving Schedule Management - Author: Patrick Weaver. Portfolio governance and risk – it’s all about the stakeholder - Author: Patrick Weaver. Project Fact or Fiction (Will the real projects please stand up!) - Author: Patrick Weaver. Understanding Programs and Projects - Author: Patrick Weaver. Assessing Delay & Disruption - Author: Patrick Weaver. Concurrent Delays in contracts - Author: Jim Doyle. Defective Work Claims - Author: Jim Doyle. Doyles Casewatch Series - Author: Doyles Construction Lawyers. Effective Project Governance – A Cultural Sea Change - Author: Patrick Weaver. Key Security of Payment Act Judgements - Author: Jim Doyle Dip.CE, MIE (Aust), BEc (Hons), LLB (Hons). Partner, Doyles Construction Lawyers. Go to OPM3 - Project Management Institute's Organizational Project Management Maturity Model 'Tools and Techniques' Page. PriceWaterhouseCooper's surveys are also available for download. These papers are copyright PriceWaterhouseCooper. PMI's Thought Leadership. reports focused on strategic PMOs. These papers are copyright PMI. 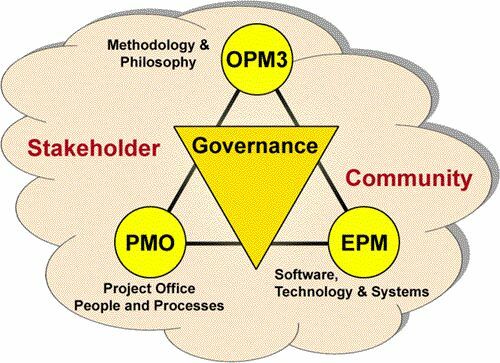 Effective Project Governance – Aligning GoPM Principles to PMI’s Standards - Author: Patrick Weaver. Effective Project Governance – The Tools for Success - Author: Patrick Weaver. The Paradox of Project Control in a Matrix Organisation - Author: Lynda Bourne. The Project Start-Up Conundrum - Authors: Lynda Bourne and Patrick Weaver. Communication in organisations: making the schedule effective - Author: Lynda Bourne. (The) Paradox of Project Control in a Matrix Organisation - Author: Lynda Bourne. Project Controls in the C21 – What works / What’s fiction - Author: Patrick Weaver. Scheduling in the Age of Complexity - Author: Patrick Weaver. Earned Value Basics - Author: Patrick Weaver. Pertmaster - Project risk software to analyses project risk in time and/or money. Risk Attitudes in the Construction Industry - Avoidance Does Not Work - Author: Patrick Weaver. 5-STEPS, Five Steps To Ensure Project Success - Authors: Patrick Weaver and Brian Doyle. Avoiding the 'Tipping Point to Failure' - Author: Patrick Weaver. Calculating and Using Float - Author: Patrick Weaver. (The) Effective Management of Time in Complex Projects - An ICT perspective - Author: Patrick Weaver. (The) Effective Management of Time in the 21st century - Author: Patrick Weaver. (The) Effective Management of Time on Mega Projects - Why there are so many problems and how to solve them? - Author: Patrick Weaver. Estimating Fallacies - excessive detail does not help - Author: Patrick Weaver. Float - Is It Real? - Author: Patrick Weaver. Henry L. Gantt - A Retrospective view of his work - Author: Patrick Weaver. Practical project controls – the art of getting to ‘Done’! - Author: Patrick Weaver. Project management vs Project scheduling - Author: Patrick Weaver. Resource optimisation - a new paradigm for project scheduling - Author: Patrick Weaver. Scheduling in a Defence Environment - Author: Patrick Weaver. Scheduling Complexity - Author: Patrick Weaver. Seeing the Road Ahead - the challenge of communicating schedule data - Author: Patrick Weaver. Should your schedulers be certified? - Author: Patrick Weaver. Standardising Quality in Project Scheduling - Author: Patrick Weaver. Time management -v- Contract administration - Author: Patrick Weaver. Why Critical Path Scheduling (CPM) is Wildly Optimistic - Author: Patrick Weaver. Building an International Micro Business in the 21st Century - Author: Lynda Bourne. Procurement Systems a Project Management Perspective (Book) - Authors: Derek H.T. Walker et al and Lynda Bourne. Supercharge your project performance - Author: Lynda Bourne. Trends in Modern Project Management - Past Present & Future - Author: Patrick Weaver. (The) VIPER Experience - Author: Patrick Weaver. Copyright © 2014 Casablanca Management Pty. Ltd. Important legal notices, disclaimer and trademark attributions.